From the moment the Green Bay Packers signed Lance Kendricks, many of Packers nation looked forward to seeing the offense play more 12 or “Ace” personnel (2 TE, 1 RB, 2 WR). Often, fans of the Packers have hypothesized about the match up problems this formation causes, and easy yards the offense could generate, if only Mike McCarthy was more varied in his playcalling. As we welcome Matt Lafleur in 2019, the role of the tight end in the Packers offense is set for a significant change. Thus, a new weapon is needed to bring a spark to this group. This is a formation the Patriots’ continue to use with devastating effect on opposing defenses. Josh McDaniels and Tom Brady wreak havoc by making defenses pick their poison against two tight end sets. Similarly, the Rams also traumatize opponents using Tyler Higbee and Gerald Everett. 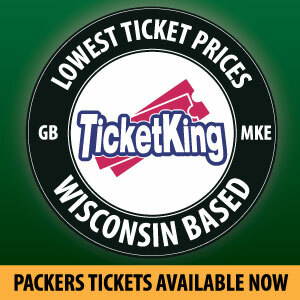 Interestingly enough, these teams will be playing in tomorrow’s Superbowl, while the Packers watch from home. So how do Gutenkenst and co. change that in 2019? Draft TJ Hockenson from Iowa with pick number 44. The versatility of a two-TE set can simply no longer be ignored by the Green Bay Packers. Increased usage of this formation allows the offense to dictate to a defense. As Raiders’ line coach Tom Cable puts it, “you have to make a decision as a defense, do you cover in base defense? If you do, you’re going to have a linebacker covering those tight ends. If you go the other way, subbing a nickel for a linebacker, then we’re shoving the ball down your throat.” Fortunately for the Packers, Hockenson blocks like a tackle, initiates contact like a fullback and runs like a receiver. Mike McCarthy used Jermichael Finley as a movable chess piece to take advantage of any mismatches and matchups. Guys that are his size don’t typically possess that high level of coordination and balance. As luck would have it, TJ Hockenson does. He has the prototypical build, 6’5, 243 lbs, and high ceiling scouts salivate over. The scouting combine will offer a chance for the tight end to display his explosion, and I predict he will run in the sub-4.6 range. He runs a variety of routes, and showcases sharp cuts and quick feet to separate. Most importantly he never quits on a play, and very often is in position to bail his quarterback out of bad situations. Sound familiar? The John Mackey award winner offers fantastic RAC ability in the open field, and consistently turns simple plays into first downs. Notably, he has soft hands in the passing game and has the talent to high point the ball over smaller defensive backs. Hockenson loves to initiate contact and unlike his teammate, Noah Fant, consistently breaks tackles and is tough to bring down. He will be a red-zone nightmare for defensive coordinators. TJ is a tenacious blocker, who displays excellent power at the point of attack. In many instances, he destroys linebackers and even defensive ends as he springs off the line with urgency. Even more impressive he is very polished from a technical standpoint, not just athletically. Number thirty-eight consistently gets his hands inside and underneath arms of defenders with ease. Jimmy Graham was unwilling to block this year for the Packers, but there will be no such problem with Hockenson. He consistently displays tight hand placement, and the ability to extend his arms and drive defenders backwards. Short area burst and explosion off the snap allow Hockenson to be a very adaptable blocker, as he reaches the second level quickly and is a great help to his lineman. He can execute multiple varieties of blocks, including cutoff and reach, and could even be a lead blocker on power plays. The redshirt sophomore exhibits impressive polish and truly is a do-it-all tight end. Hockenson is the x-factor weapon the Packers’ offense has been waiting on for years. 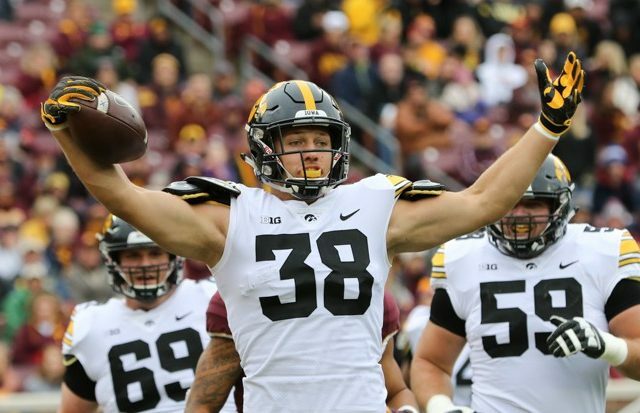 Tight ends like Hockenson, with rare in-line blocking and after the catch ability can transform your offense overnight. The arrival of both Lafleur and TJ would do a world of good for both Aarons’ in the backfield, and could be the start of a special 2019 for the Green Bay Packers. This entry was posted in NFL Draft, Packers 2018-2019 Season and tagged Hockenson, Iowa, Matt LaFleur, Packers, Tight End. Bookmark the permalink.